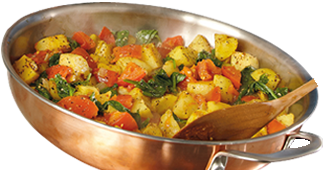 McCormick is a global leader in flavor. We have built a portfolio of high quality, innovative flavor brands that enhance people’s enjoyment of food all around the world. Our success is driven by our employees and the collaborative culture that we have established and sustained over many years. In today’s challenging economic environment, this has led to another year of solid growth and strong financial results for our shareholders. These five pillars are the foundation of our business and the ingredients behind our success. We are committed to making food taste great. 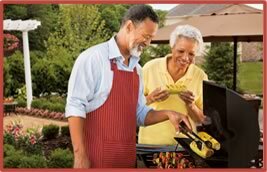 People all around the world trust us to enhance their enjoyment of life by helping them create memorable food experiences—in or outside the home. We have substantial and sustained investment in the art and science of flavor. There is something inspiring about working at McCormick. We foster a culture of respect, recognition, inclusion and collab­oration based on the highest ethical standards. Our engaged employees are catalysts for innovation and a source of support for the communities where we operate. Our unrivaled focus on quality sets us apart. 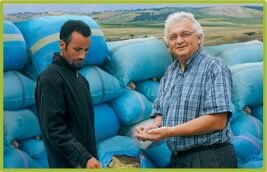 We are leaders in global sourcing and have years of experience with local growers that ensure high quality spices, herbs and other crops. These world-class standards extend to our internal processing and throughout our global supply chain. 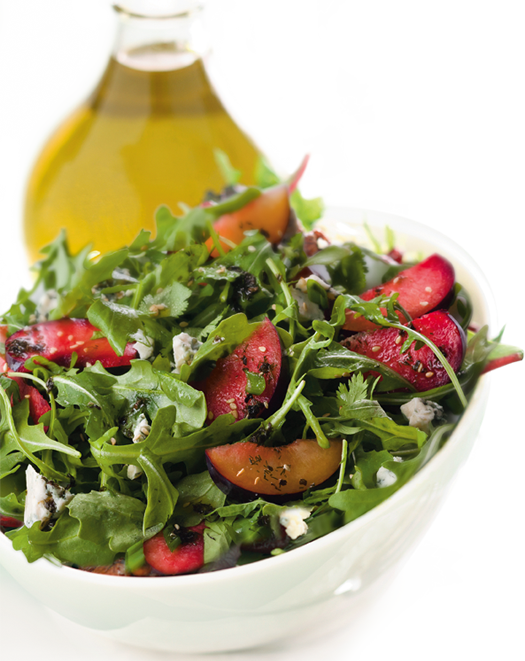 Our high quality products not only make food taste better, they often make food better for you. Building on this inherent goodness, we are developing ways that flavors can be used to create more healthy eating options. We are committed to achieving a superior level of performance in everything we do. This is especially true in the financial realm where we have achieved double-digit compound annual EPS growth over 10 years, generated strong cash flow and delivered dividend increases for 26 consecutive years. We are providing below certain non-GAAP financial results for 2010 excluding items affecting comparability. The details of these adjustments are provided in the Non-GAAP Financial Measures of the Management Discussion & Analysis on page 34. At McCormick, our passion for flavor continues to fuel business success. In 2011, we enjoyed particular success in growing our business in existing markets while expanding into several new emerging markets. We are determined to save the world from boring food! And that starts with great flavors. All around the world, consumers are exploring new tastes, bold flavors and ethnic cuisines. They are also eating healthier—seeking out foods that are low in salt and calories but rich in enjoyment, satisfaction and taste. With our leading brands of spices, herbs and flavors, McCormick is ideally positioned to meet the needs of these consumers and of our industrial customers who turn to McCormick for innovative flavors that drive sales. We are acutely aware, however, of the macroeconomic environment. Because consumers remain under economic pressure in many markets, we are emphasizing the value of our brands. Our products are often 10% of the cost of a meal, but 90% of the flavor. That’s why we are able to perform well in a challenging economy. Our 2011 financial performance demonstrated our ability to increase sales and profit in a difficult economic envi­ronment. We grew sales 11% to a record $3.7 billion, with a double-digit rate of increase in both our consumer and industrial segments. New products, expanded distribution, additional brand marketing support and acquisitions drove sales higher. We also took pricing actions to offset in part the impact of steep increases in material costs and benefited from favorable foreign currency exchange rates. We reported $2.79 earnings per share in 2011. We were pleased to achieve this level of profitability in the face of significant cost pressures. Underpinning this result was a 6% increase in operating income resulting from higher sales, as well as cost savings. Employees throughout McCormick delivered significant cost savings through our Comprehensive Continuous Improvement program—CCI. We achieved $65 million of cost savings in 2011, following $54 million of cost reductions in 2010. Net cash flow from operating activities was $340 million in 2011. Higher net income contributed to the generation of cash, but we also had increased inventory this period, largely related to the steep increase in material costs. Our 2011 cash flow and borrowings helped fund a balanced use of cash during the year. We returned $238 million to our shareholders in dividends and share repurchases, invested $441 million in acquisitions and joint ventures and used $97 million for capital expenditures to improve efficiency and support our growth. In November 2011, your Board approved an 11% increase in the quarterly dividend, the 26th consecutive annual increase. We are proud to be one of approximately 50 companies in the S&P 500 with more than 25 uninterrupted years of dividend increases. Our strategy for growth is straightforward: we invest in the business to drive sales and profits and fuel these investments through CCI cost savings. This has led to a double-digit compound annual growth rate in earnings per share over the past decade. This performance is consistent with our long-term goal to grow earnings per share 9% to 11%. First, we are increasing our base business through brand marketing support, merchandising and expanded distribution. We have leading brands with strong consumer appeal in all our key markets. As a category leader, we carefully measure the returns of our marketing investments and direct our spending to optimize sales and profitability. Digital marketing has a particularly strong payback, and we nearly doubled this spending in 2011, which was part of a 9% increase in total brand marketing support before the impact of acquisitions. Through enhanced merchandising, we are making our products easier to find on the store shelf and are driving impulse purchases with secondary displays. In today’s environment, many consumers are shopping in a wider variety of retail channels, and we have been successful in gaining new distribution in 2011 that included dollar stores, warehouse clubs and drug store chains. For our industrial business, we are supporting the geographic expansion of our customers, which contributed to our sales growth in China and Southeast Asia. Another avenue of growth is new products. 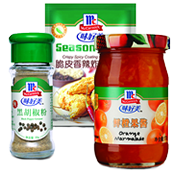 We are attracting consumers to the store shelf to discover new flavors, new meal ideas and new packaging. We expect to launch at least 100 new branded products each year, and in 2011 we introduced more than 200. These included authentic Hispanic seasoning mixes in the U.S., Vahiné® brand dessert items in France and value-priced sachets in Australia. With a number of new products, such as Recipe Inspirations®, we are extending our success in one market to other parts of the world. Industrial customers view product innovation as an important way to build sales and distinguish their products from the competition. We have a robust pipeline of innovation for these customers, with many innovations featuring simple ingre­dients, natural flavors and other healthy attributes. Acquisitions are our third growth initiative. We are using acquisitions to penetrate new markets and extend our portfolio in countries where we have a significant presence. We have a strong interest in emerging markets where rising income levels and a growing middle class are creating increased demand for the convenience and quality of packaged food products. In the past 12 months we made some exciting additions to our global portfolio of leading brands. 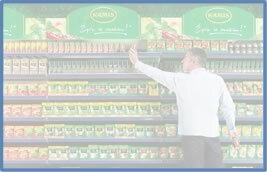 Kamis is a leading brand of spices and seasonings, as well as mustards, in Poland. This growing business has annual sales of approximately $100 million, and, with distribution into Russia and other parts of eastern and central Europe, it is an excellent complement to our current business in western Europe. With an 85% interest, we formed a joint venture to market the Kohinoor brand in India, a leader in basmati rice and other food products. The business is particularly attractive as its products reach approximately 350,000 retail outlets in that country. As a result of these achievements, we expect our percent of sales from emerging markets to increase from 6% in 2006 to at least 13% in 2012. McCormick's 10-year total annual shareholder return has increased at a double-digit rate and exceeded that of the S&P 500 Stock Index and S&P 500 food group. We are fueling our sales growth with cost savings from CCI, our ongoing initiative to improve productivity and reduce costs. In 2010, we set a goal to achieve $150 million in cost savings over four years. In the second year, McCormick employees have already delivered $119 million in savings toward this goal—including lower procurement costs, increased process reliability and distribution efficiencies—and with at least $40 million of projected cost savings in 2012, we expect to reach this goal in three years. With CCI champions in each major operation, we have a long runway of savings for 2012 and beyond. An effective strategy is one that can drive growth in good times and bad. Our solid performance in today’s economy demonstrates the effectiveness of our strategy and soundness of our business. McCormick has an enviable record of building shareholder return. A higher stock price together with increasing dividends have led to a ten-year total shareholder return of 11%. This performance exceeds that of the S&P 500 Stock Index and the S&P 500 food group. Our employees are the foundation of our success. They are driving top-line growth and improving our efficiency. Our Multiple Management philosophy, established in 1932, is the foundation of our culture. This philosophy encourages participation and collaboration at all levels of the organization and is embodied in our Multiple Management Boards, including our recently formed regional and global boards. We foster an inclusive environment that values diversity and the contributions of each individual. Throughout our Company, we are implementing McCormick’s global high performance organization, which creates a culture that leverages the power of our people by recognizing the importance of teamwork and increased employee engagement and empowerment. activities and recognize their efforts with an annual awards program that includes funds for the organization the employee supports. Charitable donations by employees are matched by the Company, and in the U.S., we arrange an annual Charity Day that allows employees to work an extra day and contribute their pay. Our Company’s success is also built on trust. Consumers and customers count on McCormick for high quality and safe products. We monitor quality throughout our supply chain and are a leader in developing industry best practices. We are also a leader in responding to consumer interest in health. In 2011, we celebrated the five year anniversary of the McCormick Science Institute. This independent institute is led by nutrition scientists, and its mission is to support scientific research and disseminate information on the health properties of culinary herbs and spices. Our interest in quality and health extends to our environmental sustainability efforts. We have internal goals and measurements to monitor our environmental impact. In the first phase of our program, we achieved reductions between 17% and 26% in our global water usage, greenhouse gas emissions, solid waste and electricity on a per unit basis, and, in 2011, set goals for the next five years. McCormick’s Board and leadership team are directing our strategy and setting our course for growth. In 2011, we continued to build the skills and talent of our organization. We continue to align our global organization to support our growth. Mark Timbie was named President, Consumer Foods Americas and Chief Administrative Officer, expanding his role to include responsibility for several key functional areas. With the addition of responsibility for our industrial business in Canada, Chuck Langmead was named President, Industrial Foods Americas. To recognize the importance of the science behind our flavors, we created the role of Chief Science Officer. Dr. Hamed Faridi was promoted to this role as a result of his vision, leadership and contributions at McCormick. As part of the development of our financial team, Mike Smith was promoted to the executive office of Vice President—Treasury and Investor Relations. I want to welcome the new employees that have joined McCormick in 2011—from Kamis and Kohinoor, as well as other parts of our organization. In particular, I want to recognize and thank all of our employees for their role in successfully building our business. Thanks also to you, our shareholders, for your support and confidence. 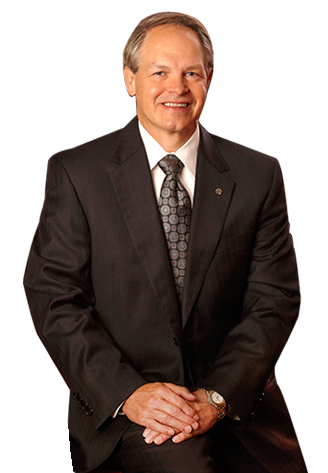 We share your desire to grow the value of your investment in our Company. In China, we developed a brand look that is consistent with our global brand platform. Each year, McCormick recognizes employees from worldwide locations who volunteer to support the com­munities in which we operate. Digital marketing is one of our most cost-efficient ways to connect with consumers whether it is a Facebook® page, iPhone® app or this Grill Mates® Twitter® program allowing fans to appear on a large video screen in Times Square, New York. New products launched in the past three years added 9% to 2011 net sales. This is an interactive electronic version of McCormick & Company 2011 Annual Report to Shareowners, and it is intended to be complete and accurate. The contents of this version are qualified in their entirety by reference to the printed version. A reproduction of the printed version is available in PDF format on this web site.